Welcome to my website! Below you will find articles on some of the work done over the last fifteen years. 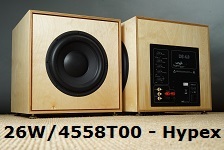 Building speakers has be on and off since high school, but with the availability of PC-based measuring equipment in the Nineties my hobby took another direction as it became very much clear, that doing crossovers by calculation and fine-tuning by ear had its shortcomings. Over the years my focus has moved from small inefficient speakers to larger constructions providing the dynamics that make reproduced music live and engaging. Below you will find speakers ranging from 2 to 300 litres volume and I hope you will find inspiration for your next DIY project. In case you want advice on which speaker to build, please read both "choices" and "crossovers" before writing. I shall not recommend any speaker for reasons outlined in the "choices" file, and please do not ask about the sonic differences between two speakers. What I hear is unlikely to be what you will hear. Designing loudspeakers is not rocket science. Designing loudspeaker drivers is another thing, but picking 2-3 drivers and making a suitable cabinet and crossover is basically a matter of handling fairly simple measuring equipment, simulation software - and experience. Some call the voicing of speakers an art. I don't think so. Voicing a speakers is a matter of taste like adding spices to a stew. Some like it hot, some don't. BTW: The ancient Greeks didn't distinguish between art and craftsmanship. Art is art if enough people think it is. If you want to modify the constructions shown here, please read "crossovers" before doing so. In most cases you will need a new crossover and I would need your speaker on my test bench to tell you how. DIY SERVICE is provided in case you live in driving distance of Aarhus, Denmark. 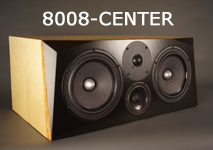 This for your up-grade of existing speakers or crossover design for your own construction. Should you run into problems with the constructions presented here, I'll do all I can to assist in the successful implementation, but cannot assist in any hypothetical combination of drivers of your own choice. Since January 2014, all schematics are closed, i.e. crossover components' values only comes with purchase of the kit. The reason for this can be read here. None of the constructions, illustrations or information presented here may be used for commercial purposes without my written consent. The constructions are divided into sections based on the main driver in the system, e.g. SEAS, SBAcoustics, ScanSpeak, AudioTechnology. I'm very fortunate to be sponsored by these companies and without their generous support, very little of this would have been possible. Unless specifically stated, all constructions are based on my own preferences and I may combine drivers from different manufacturers if I think they will make good partners. All underlined text is a link, regardless of font properties. Regarding frd and zrd files for crossover simulation: I do not provide these from my library and please do not send your own for evaluation. The common habit of anonymity on discussion forums is sad I think. If you have questions or comments, please state your name and the country you live in to give me an idea of the hifi environment you live in. Feel sure I need your response to make this website better. I have a lot of mails and answering takes time and please do not feel neglected if my reply is short. I regard all communication between you and me as personal, so do not post my comments or graphics on discussion forums, websites, etc. without my written consent. Feature articles, tips, ideas, cabinet damping, coils, etc. 10-12-2018: SBAcoustics SB29BAC-C000-4 Be dome. Test. 08-07-2018: Updated file on chamfering driver holes. A scary example! 16-04-2018: The Loudspeaker, your final speaker? 03-06-2017: Bi-amping, what is it? Some hints and tips. 14-05-2016: Munich High-End Show 2016, some impressions. 31-01-2016: Beaming, what is it? 21-08-2018: ScanSpeak Illuminator-5, built by Brian, US. See some amazing copper clad cabinets! Click heading to go to overview of HES constructions. Click image to go to HES speakers introduction. Read feedback from HES builders here. DTQWT, 10 or 12 inch. Which should I build? Click heading or image to go to SEAS constructions' overview. Jenzen SEAS NEXT T25 and -T29. The luxury versions of Jenzen SEAS ER. Ellam-9800 mkII. It's been almost ten years since the first version! Mark21, 3-way, 21W/8554+15M/4531-K00+R2604/832000, bass drivers no longer available. AudioTechnology 3-Way Classic, the best classic 3-way on these pages. OBL-11, Open Baffle Loudspeaker. My homage to Gilbert A. Briggs' SFB, discontinued. OBL-9, 2009 open baffle construction with JA8008/TW034 and Eminence Deltalite II 2515, 15" bass driver, discontinued. OBL-7, Goodmans Axiom 150 mkII + Supravox 215RTF64 + LE26 dipole panel, OBL experiments. Philips AD-0160-T8, world's worst dome tweeter? What it takes to make a crossover, - please read before asking for a crossover for your drivers!! 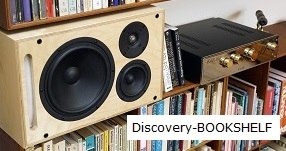 Choices, How to pick the right diy speaker project. Size matters. Please read before writing! Calculation of box volume and ports. Can we calculate box volume at all? Tips & Ideas, Glue for crossovers, solder tag strips, flaring plastic vents, damping materials, etc. Super caps, what are they and why are they so expensive? How flat is flat? Does a flat frequency response matter? How female vocals can make your hair turn grey - and can low-order filters do something about it? Eight + one: Can we make a 2-way from and 8" driver + 1" dome tweeter? Make your own non-inductive graphite resistors! Fountek JP3 ribbon replacement, pdf file. FAQ regarding sensitivity and the choice of crossovers. Want to hear what your cabinet panels sound like? Garrard 401/LINN - Thorens TD124 mkII/Jelko shootout! For most larger speakers I use bi-amping, Hypex Ucd400 or PSC2.400d for the bass and GlowMaster/EAR-861 for mid-tweeter. Go to bi-amping here to see what bi-amping looks like. Bi-amping means you have a line-stage, a pre-amplifier, driving two power amplifiers, which each runs either bass or mid-tweeter. This requires the crossover is separated in bass section and e.g. mid-tweeter section. Bi-wiring means you have the same amplifier connected to bass and mid-tweeter with separate speaker cables. It also requires the crossover to be separated in sections for bass and mid+tweeter. Einstein The Amp - Einstein website I never thought I'd buy a twenty years old solid state amp, but this one is special. This 60 wpc amp runs the ATS-4 - all of it - without any trouble. The most dynamic and deep bass I've ever heard from a 60 watt solid state. Bought for 800 € on eBay 2013. It may not have the holographic midrange of the GlowMaster, but overall coherence is phenomenal. And it's very much class AB... never say never. Audio Komponenten - Einstein Audio Friend of me recently bought the amp to find it with bleeding electrolytic caps and burned resistors. No sound at all. Buying old stuff can be gambling, so take care! Crossover components found on this website are sponsored by Jantzen Audio, Denmark. Jantzen Audio has the most extensive range of baked coils available, supplemented by a wide range of audio grade capacitors. In addition to this a wide selection of components for speaker building. Complete crossover kits for the shown constructions can be ordered at: contact@jantzen-audio.com. For SEAS, ScanSpeak, SBA and some AudioTechnology constructions, this can include drivers as well. I'm particularly grateful to Jantzen Audio for taking the financial risk of launching the JA8008 and JA8008-HMQ drivers. Without their support these drivers would never have been made. Some of the drivers used in the constructions were sponsored by Jantzen Audio (SEAS drivers), ScanSpeak, AudioTechnology and SBAcoustics. Thanks to those who made this possible! Without your support only a few constructions would have made these pages.